BLUE IS BACK! - Design Home Interiors, Mark Little - The best interior design services in Montgomery County and Bucks County and suburbs of Philadelphia. Aside from looking great, the color of a room has an impact on you, your emotions, even your health. Scientific research shows that colors do have an effect on our moods and how we feel. An important tip when working with blue – It’s all about choosing the right shade. 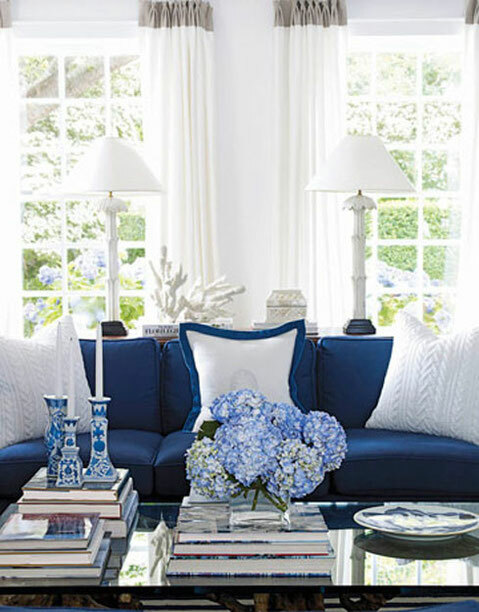 By picking blues that are more neutral than primary, you can get away with a lot. Spaces that ooze comfort incorporate blues that have undertones of gray or beige that allow different patterns to happily mingle. They also make it easy to add accent colors and accessories to your design; corals and yellows look great when paired with grey based blues. 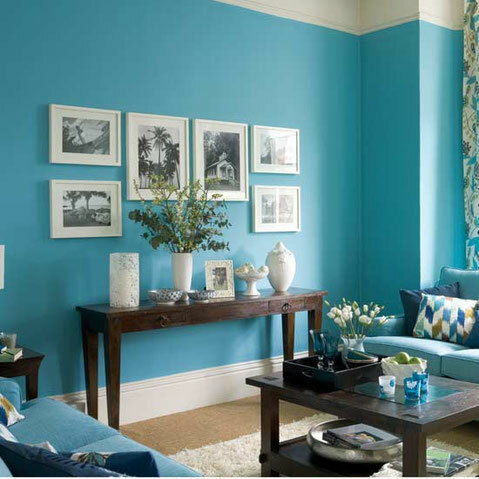 When used as a room color, blue produces a calming atmosphere and is best suited for rooms where you wish to relax, such as family rooms, bedrooms and bathrooms. Light blue is associated with health, healing, tranquility understanding and softness. Dark blue represents knowledge, power, integrity and seriousness. Using blue accents, such as painted furniture or fabrics, is a nice way to introduce a relaxing color into a room without having it become overwhelming. This beautiful living room seems to be an oasis of relaxation, and has a clean aesthetic with an elegant combination of blue and white. The natural light from outside is invading the space, highlighting each element that helps in the overall design. 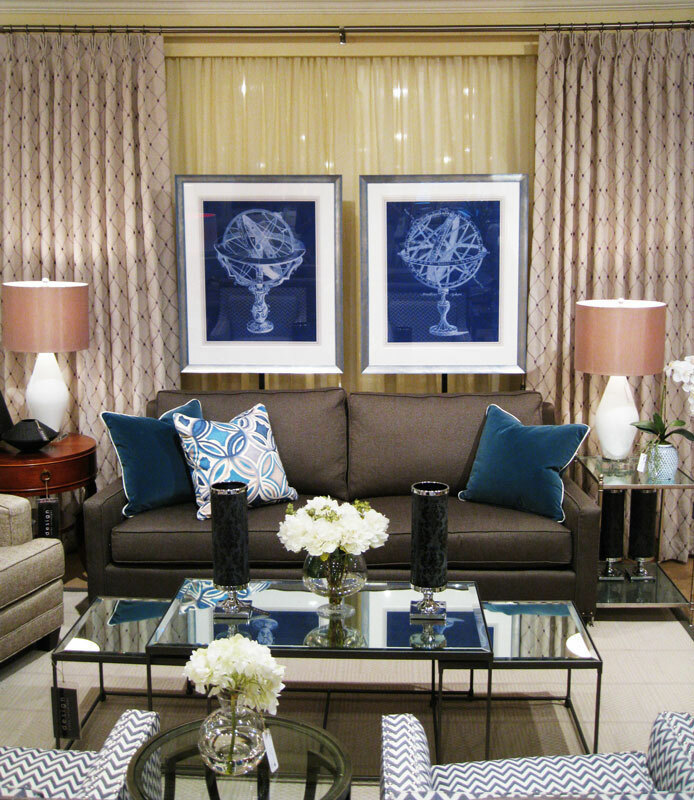 Here’s a great example of vibrant blue, a great choice if you want your living room to feel welcoming and full of life. It’s really great if you’re looking to create an open living room, interactive, that will spark a conversation immediately. The color works very well with antique wooden furniture and white modern elements. 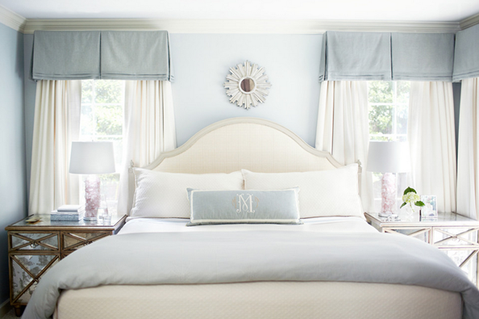 Notice the calming feel of this bedroom? The pale blue shades paired with creams and taupe create an atmosphere perfect for relaxing. When in doubt, remember, the best part about designing with blue: It is the only color which maintains its own character in all of its tones… It will always stay blue. 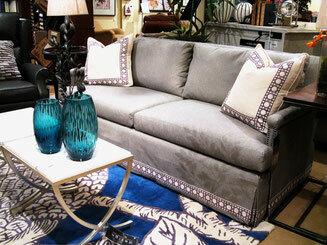 Check out some of our newest additions from CR Laine and Harden. 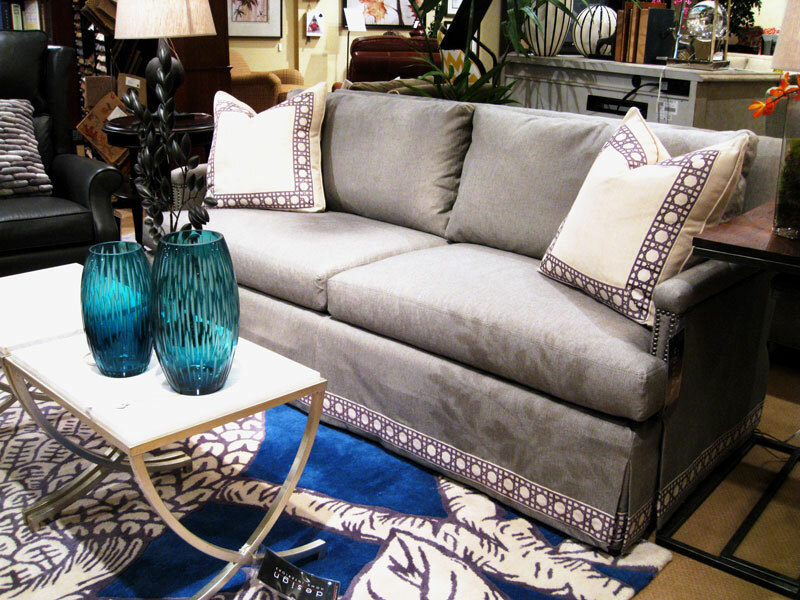 Stop by our showroom to see the latest arrivals and get inspired!